Timber Point Golf Course in Great River will host the 25th annual 50+ Lifestyles Golf Outing on Thursday, September 20. 50+ Lifestyles is an independent publication geared toward Long Islanders over the age of 50. Registration for the event is $149 for single players and $139 for golfers who register with a full foursome. The tournament includes continental breakfast, barbecue lunch and a dinner with open bar, raffles, prizes and awards. The event is geared toward men and women age 50 or older, though guests of any age are welcome. Visit the 50+ Lifestyles website for more information or to register online. Registration forms can also be submitted by mail or fax. For more on Timber Point, visit the Red, Blue and White course flyovers. Bethpage State Park's fall schedule of course aeration will begin the week of Labor Day this season, though most of the maintenance work will take place in October. First up is the Yellow Course on September 5 and 6, followed in the first week of October by the Black Course (October 1-2) and Green Course (October 4-5). The Blue Course will be aerated on October 15-16, then the Red Course on October 17-18. Remember the Black Course typically closes for the season in the middle of November, followed by the Red and Green toward the end of the month. Keep tabs on course availability by following the Bethpage golf courses on Facebook and Twitter. In the spirit of our post earlier this week on beer, wine and instruction pairings at Sunken Meadow State Park, we bring news of brewery-themed golf events planned this fall at Pine Ridge Golf Club. On the first weekend of fall, Coram-area golfers can cry in their beers -- Sam Adams, to be exact -- over the passing of summer at what Pine Ridge dubs the Sam Adams Open on Saturday, September 22. There's no reason to shed tears, though -- for $75 golfers tee off in a 1 p.m. shotgun then stick around for a beer and dinner party. Sam Adams will be served all day in addition to post-round live music, beer tastings and prizes. Later in the fall, Pine Ridge will celebrate both Oktoberfest and a popular Long Island beer maker with a Montauk Brewing Company outing on Saturday, October 13. Shotgun tee time is 12 noon, with Montauk beers served throughout the round, followed by a 5 p.m. dinner. Registration is $75. Sign up for either outing online at the Pine Ridge website or in person at the pro shop. Dinner-only guests can also register for $30. The varied list of instructional events at Sunken Meadow State Park includes an appeal to golfers' taste in summertime beverages this month. On Friday, August 17, Sunken Meadow will host the latest edition of its "Chicks Chip & Sip" series, an instructional clinic for women with wine and other beverages included. This month's event offers pitching lessons and punch. The hour-long clinic starts at 4:00 p.m. and costs $19 (advanced sign-up required). Another Chip & Sip is scheduled for September 14. On Saturday, August 18, a men's "Lunch & Launch" event will begin at 11 a.m. Participants can work out their driver in the launch monitor and get pro tips along with a hot dog and a beer. Longest drive of the day by 1 p.m. wins pro shop credit. Sign-up is $25 (advanced registration is required). For more on- and off-course events at the park, visit the Sunken Meadow Golf Courses Facebook page. Three temporary greens are in place at Crab Meadow Golf Course in Northport after an act of vandalism last week destroyed the regular surfaces, and as a courtesy to players the course is offering a 10% discount on green fees. According to an announcement on the Crab Meadow website, the greens on holes #1, #11 and #17 sustained major damage and have been replaced by temporary surfaces. An article by the The Times of Huntington-Northport indicates the vandalism occurred between the close of business on July 30 and around 2 a.m. on July 31, with damages totaling approximately $124,000. The surfaces were gouged by some type of blunt object. A fourth green was vandalized but can be repaired in-house, the Times reported. Repairs to the three destroyed greens will take approximately four to six weeks. For the inconvenience, Crab Meadow is offering a 10% discount on all green fees except the already-discounted non-resident weekday rate. For more information, contact the course at (631) 757-8800. Brentwood Country Club and Holbrook Country Club are making sure you can save a bit while you sweat during August afternoon rounds. Through the end of the month, rates are $42 per player after 11 a.m. with cart and reservation fees included. Walkers can play 18 holes for $24. Twilight rates kick in at 3 p.m. -- $20 to walk and $38 to ride, plus reservation fees. Brentwood is closed most Mondays and Holbrook most Tuesdays for private outings. 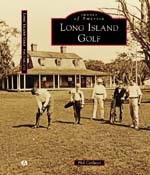 For more on the Town of Islip munis, check out the course flyovers at the above links. Union Hook & Ladder Co. #1 of the Lindenhurst Fire Department will hold a golf outing and dinner on Monday, August 27 at the West Sayville Golf Course. Registration for the event is $165 per golfer. The outing includes breakfast in the clubhouse, a BBQ lunch, beer-cart service and 50/50 raffles throughout the day. A post-round dinner will feature an open bar plus auctions and raffle prizes. Shotgun tee time is 8:00 a.m. Proceeds benefit the Lindenhurst Fire Department. To register for the event as a player or sponsor, contact Bobby Santos at (631) 926-2537 or T.J. Kirkland at (516) 592-2057. West Sayville is one of Suffolk's four County-operated municipal courses. For more information on the course, check out the West Sayville flyover. Two Long Island towns and one village have turned to reduced green fees and new or popular promotions to fill tee times at their municipal golf courses, according to Newsday's David Reich-Hale. The Town of Huntington adjusted its green fees earlier this season at the municipal Crab Meadow Golf Course to make non-resident rates equal to discounted resident fees at off-peak playing times. Huntington, which operates both Crab Meadow and the nine-hole Dix Hills Park course, cut non-resident rates by nearly 40% -- from $46 to $29 -- under what it calls a "demand-based pricing" schedule. Fees at high-volume playing times like weekends and early mornings have not changed. Huntington is trying to rebound from a decline in total rounds played in 2017, largely due to the brief lack of a golf-cart contract, per Newsday. In the Town of North Hempstead, the Championship Course at Harbor Links, among Long Island's priciest golf destinations for local non-residents, last season had its highest total of rounds played since 2013, in addition to a slight increase over 2016 on the nine-hole Executive Course. Harbor Links general manager James Viras told Newsday part of the success is due to the course's weekday Golf & Grub promotion, a staple at the course for several seasons. "It's driven a lot of people to the course," Viras told Newsday. 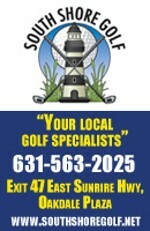 Harbor Links, however, does not promote the special on its website or on social media, and asks interested golfers to call the course for details. Newsday also points to Port Jefferson Village, where membership has declined in the past decade at its municipal course, the private Port Jefferson Country Club at Harbor Hills. The village hopes attractive packages will help boost attendance as well as a partnership with local schools to introduce more kids to the sport at the club. Anyone in the mood to play 36 holes on a steamy summer day will be greeted with open arms and a special lunch menu this month at Cherry Creek in Riverhead. The home of the Links and Woods courses is offering a Replay Special through August that covers a morning 18 followed by a second afternoon round on either the same course or the one across the street. In between, a Replay Lunch will be served at either facility. The Replay Special is $100 on weekdays and $125 on weekends, with carts included for both rounds. Call the Links at (631) 369-6500 or the Woods at (631) 506-0777 to book the special. For more on the courses, check out the Links and Woods flyovers.